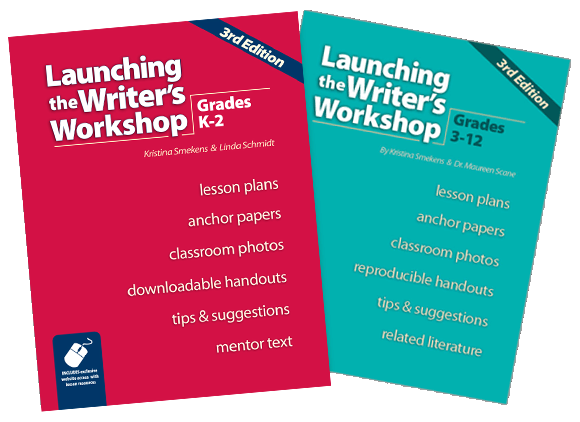 After you’ve devised a plan to launch your writer’s workshop during the first weeks of school, the next step is to look ahead toward the rest of the year. 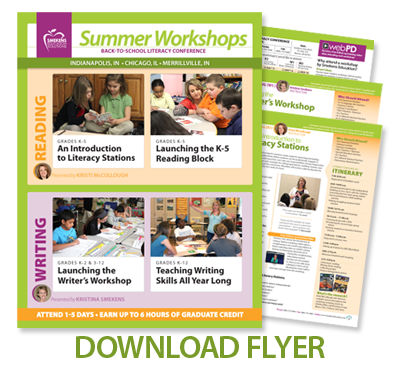 This full-day workshop is designed to guide K-12 teachers through the planning of a yearlong writing curriculum, incorporating mini-lessons, literature, and assessment within a variety of writing units and genres. Kristina will provide lesson plan examples for multiple writing units, then she'll reveal her framework for developing writing units on your own. Book & CD are free! What are teachers saying about the Back-to-School Literacy Conference? Thanks to a partnership with the Midwest Teachers Institute, workshop attendees can earn three hours of nationally-accredited graduate credit. The cost of graduate credit is $300 for each 3-hour course. Registration information will be shared during the 10 a.m. break of each workshop. After the workshop, attendees have 2 weeks to apply their training hours to the program. The cost of graduate credit is separate from the cost of attending a workshop. Certified educators can earn professional growth credits for attending a Smekens Education workshop. All workshop attendees receive a certificate of participation for 5.5 hours of professional development for each one-day workshop. Visit our Continuing Education Credit page to learn more. As an approved professional development subcontractor, Smekens Education is happy to provide all Illinois teachers with state-approved professional development credit for attending the Elk Grove Village, IL location of the Back-to-School Literacy Conference.